Porsche has just released a video which showed racing driver Craig Baird behind the wheel of its 918 hybrid hypercar. And with a racing driver at the wheel on one of Australia's Northern Territory unrestricted roads, you can bet the video is all about the 918 spyder hitting its top speed. 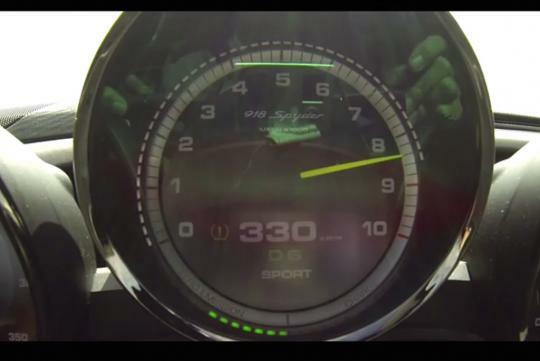 Watch the video and see how fast the 918 spyder went.